When Star Wars: The Old Republic finally transitions to a free to play MMO model — BioWare is still claiming that this will happen at some point this fall — the game will offer players a chance to play up to level 50 totally free of charge. However, given that there is also a subscription-based gameplay option available, those who aren’t paying anything for the game beyond its initial $15 purchase price will be unable to enjoy certain benefits the game has to offer. That’s pretty standard for any MMO transitioning to the free to play model in the modern era, but Star Wars: The Old Republic handles things a bit differently. Instead of immediately granting bonuses to subcribers, the game uses a system dubbed “Cartel Coins,” that both benefits paid subscribers and seemingly complicates the game’s subscriber system to a needless degree. Cartel Coins, as their name suggests, are a form of currency. They’re exclusive to Star Wars: The Old Republic and while they can be used to purchase in-game items, their most important role is in rapidly decreasing the game’s various time sinks. For instance, normally The Old Republic places restrictions on how many PvP missions a player can do in a short period of time by locking them out of the PvP system once they’ve participated in their quota, but by spending Cartel Coins players can unlock more PvP missions immediately. The same goes for the game’s equivalent of high-level raid dungeons. Still with us? Alright, now that we’ve established what they do, we can get to the interesting part: Cartel Coins are seemingly only available by purchasing them with real-world money or via the rare BioWare show of generosity. Anyone who has ever subscribed to the game currently has an initial cache of Coins, though to redeem them BioWare requires that you have spent some amount of cash to add game time to your subscription account. So, to recap: While you can play Star Wars: The Old Republic for free at some nebulous, yet supposedly near-term point in the future, it’s going to take you a very, very long time to get up to level 50 and acquire some interesting gear without spending money on Cartel Coins. 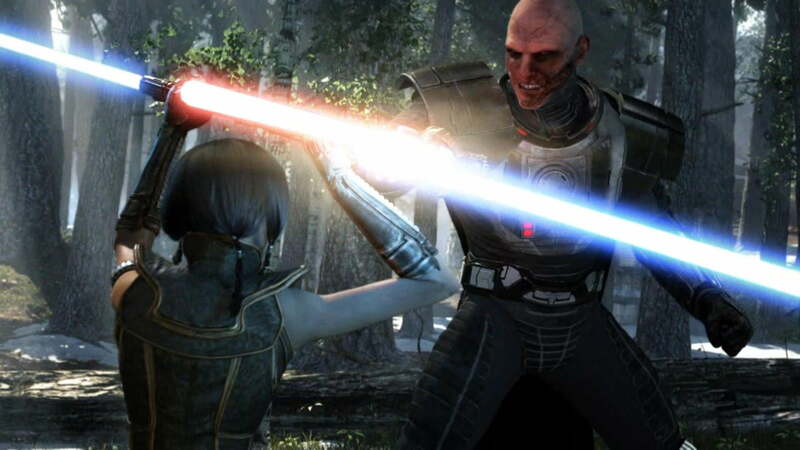 Thus, while the game is indeed “free to play,” those who spend actual money on The Old Republic will likely have a more fulfilling experience. More information on the various ins and outs of the free to play scheme BioWare plans to use for Star Wars: The Old Republic is available on the game’s official free to play FAQ.